After a few weeks of furious fundraising, yesterday morning was when the rubber was to hit the road. It was really cloudy, and felt like it was going to rain all morning. The rain held off, which was a shame. I love running in the rain! I started off the morning with coffee and an old fashioned from the Donut Palace of Ellisville. They were hosting a fundraiser for Backstoppers, and had uniformed officers serving doughnuts to the public. It was a fun time, and I was happy to donate to the cause. Doughnut in tummy, and coffee in hand, I headed down the road to Forest Park. If you’ve read a few of these blog entries over the years, you know I have a love-hate relationship with running in the park. It’s not awful, depending the course the race directors select, but even the easiest course has plenty of up-and-down rolling hills. I picked up my race bib, survivor shirt and undies, and got myself all dolled up in my colon cancer clothing. This is the first time I’ve worn all the freebies, but it felt right this morning, and frankly, it all fit, which is a plus. As opening ceremonies began, Darla texted me to let me know she was on the grounds. This was a surprise, as I wasn’t expecting her to come by. We listened as Roche Madden — a CRC survivor himself — talked about the race and fundraising. As a group, we raised about $150k, and continued to be one of the largest Undy events, at about 1500 registered racers. Way cool. I meandered toward the start line, playing “rebel without a clue” by putting myself closer to the front of the pack than the back. As it ends up, that was a great move, and let me pass some folks, and not get passed by quite so many. Running is a mental game, right? About a third of the way through, some stranger tapped me on the shoulder as he was passing me, and told me I was doing great. I assume the “Survivor” emblazoned on the back of my shirt made him take the couple of seconds to say hello. I’ve said it before, and I’ll keep saying it… I love the running community. Darla made some new friends, and as I got close to the finish line, I could hear them all cheering for me. Man, that is such a rush! I finished the race in what was a pretty good time for me. 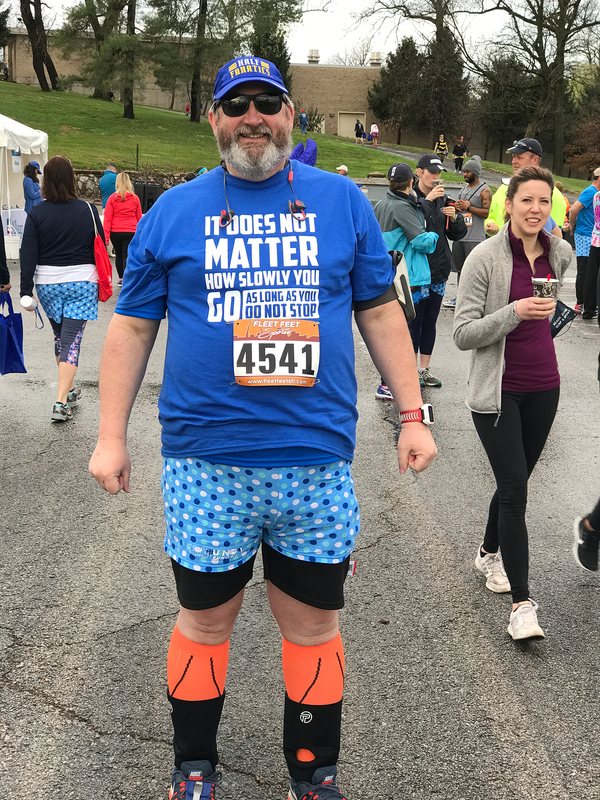 This race is more an event than a race, and while there are some folks that are in it to win it, there’s a lot of folks that are just walking, talking and memorializing folks that have been stricken by colon cancer. This usually makes my results look far more impressive than they actually are! We stuck around for the awards ceremony, and listened to one survivor tell his tale. Seventy-six of us were brought forward, and received survivor’s medals for running the race. I’m always full of emotion at that part of the day, but it’s so cool to see so many folks who have fought the fight, and won. Next year will be my seventh Undy, and I’m sure I’ll be there for it. I hope to have some folks come along for the ride next year!!!! 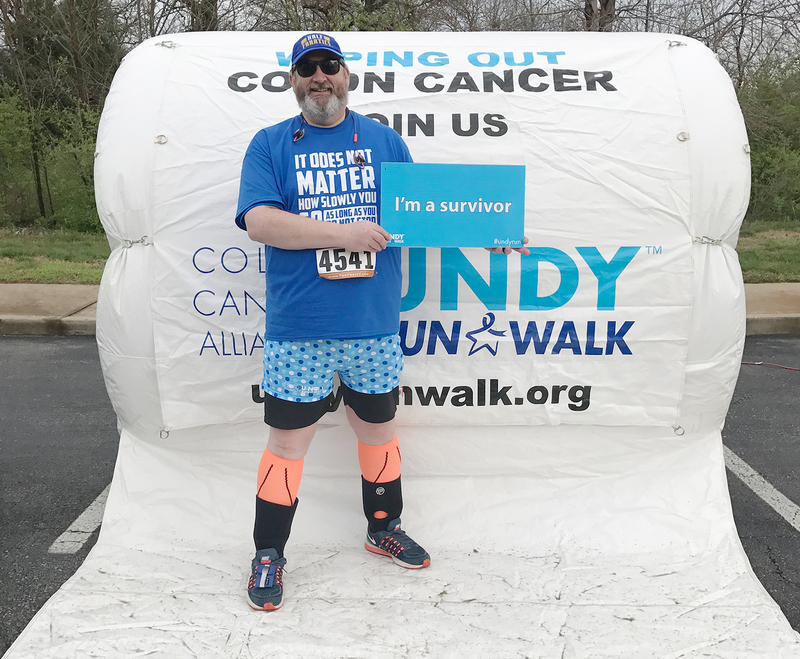 This race benefitted the Colon Cancer Alliance. Thanks to everyone who contributed!